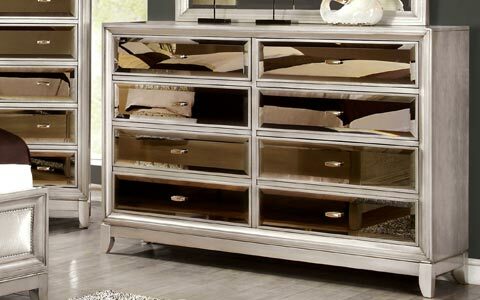 Decorating your rooms with mirrored items is the best way to add a modern, elegant flair to any interior. 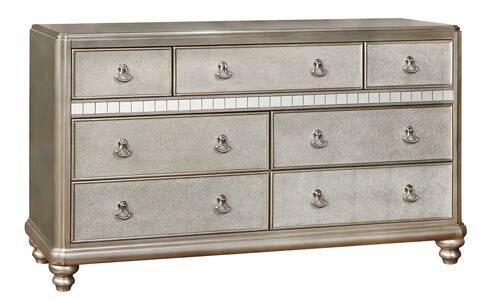 If you want to redesign your bedroom with gorgeous looking mirrored dresser, take a look at our latest selection! 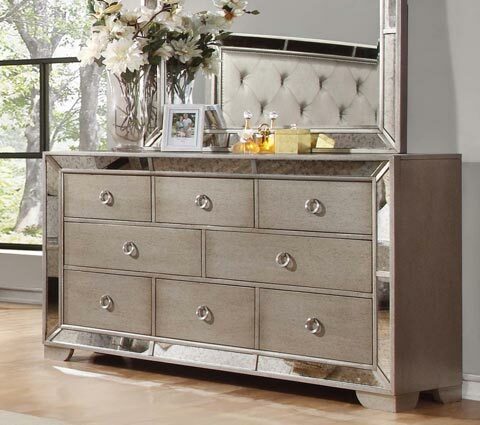 We are featuring a variety of styles, shapes, sizes and finishes in mirrored dressers to choose from. 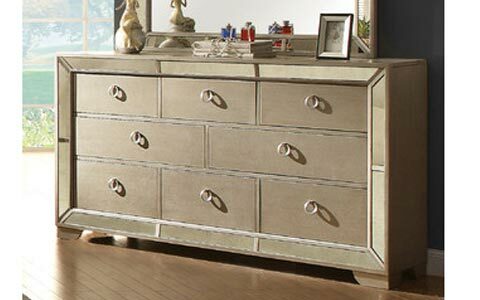 These elegantly designed antique and modern dressers are complement any bedroom decor setting. 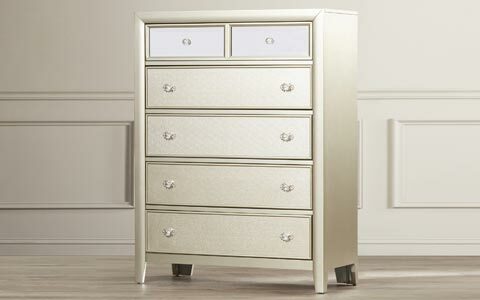 Update your bedroom decor with stylish and practical Coralayne Dresser offered by Signature Design by Ashley. 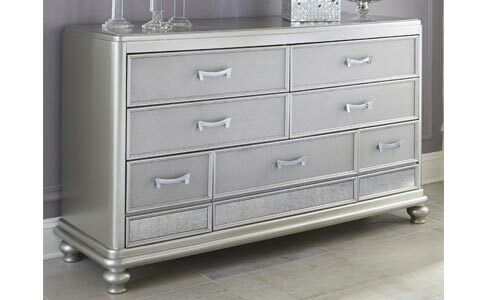 This dresser and chest feature large radius all around and silvery textured drawer fronts. 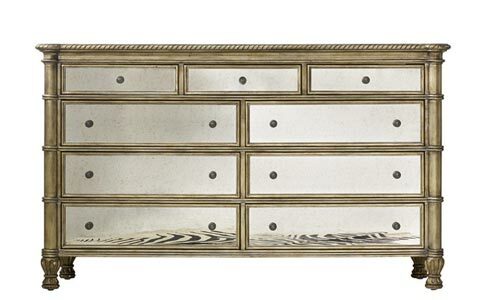 Upgrade the styling of your bedroom with a mirrored drawer. 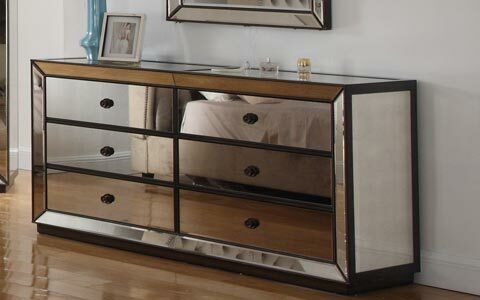 Classy, extremely stylish and complementary of all styles, mirrored furniture can be used in any room as it goes well with every decor style. 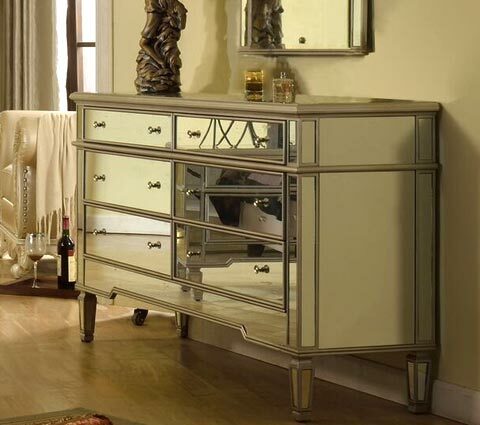 Let your mirrored dresser be the shiniest object in the room by picking a design that’s elaborate. 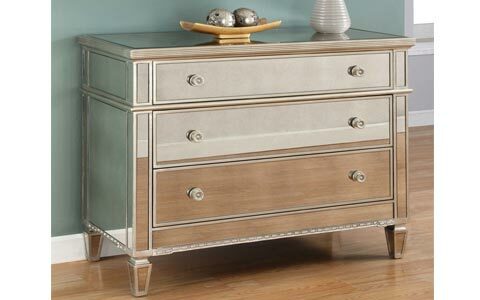 There are countless models in outstanding designs that can give you any look you desire. 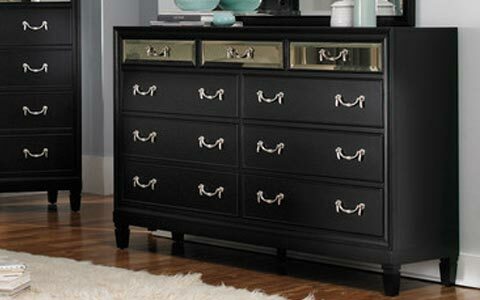 From large, ornate mirrored dressers that reek of opulence to vintage types that recreate the rustic look of days gone by, you will be spoilt for choice and identifying a dresser that’s perfect for your space may not be automatic as there is quite a ton of designs to choose from. 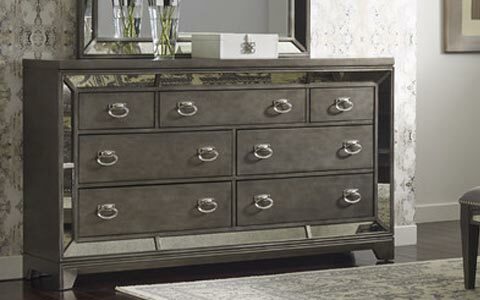 Your mirrored dresser may be jaw-dropping attractive and decorative in the bedroom but it is as functional as any dresser can be. 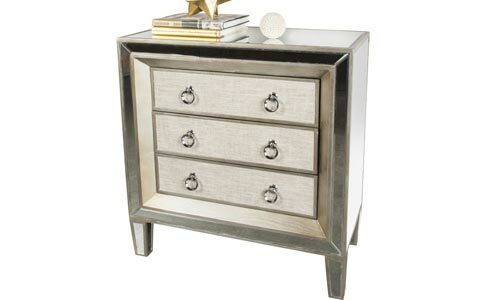 It’s built with a sufficient number of drawers to accommodate a sizeable collection of personal items. 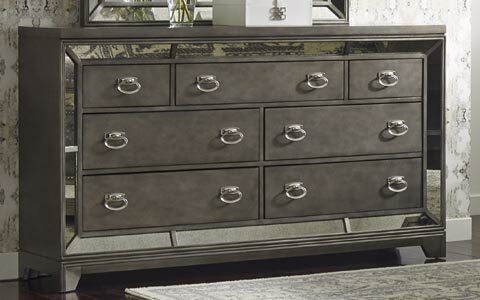 If it’s important for you to have a large number of grooming tidbits and other personal items close by while you dress, choose a large-size dresser with many drawers. 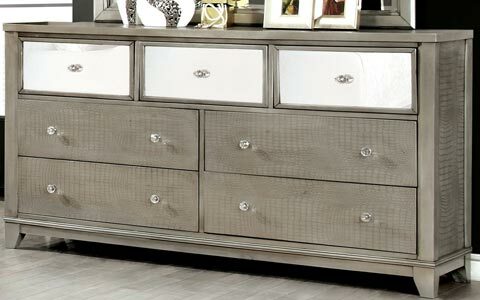 Consider the size of the drawers, meaning their length, width and depth, as this will also determine how much you can store in them. 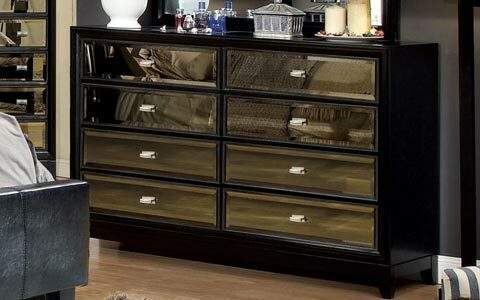 The mirror glass framing the frontal part of the dresser, and in most designs the top surface, is an important feature as it’s what gives the dresser its personality. 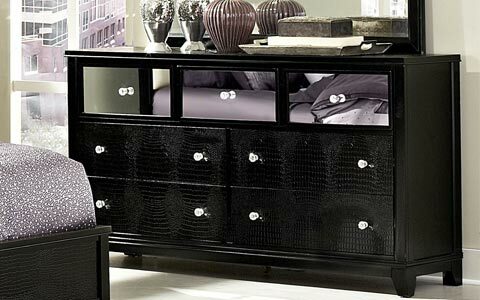 For an out-of-the-ordinary look, choose colored mirror, which can further be accentuated with stylish knobs and legs. 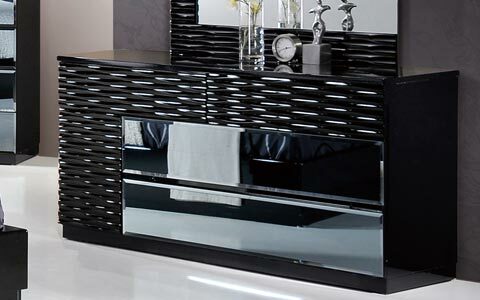 Plain mirrored glass will give you a more conservative but equally appealing look.